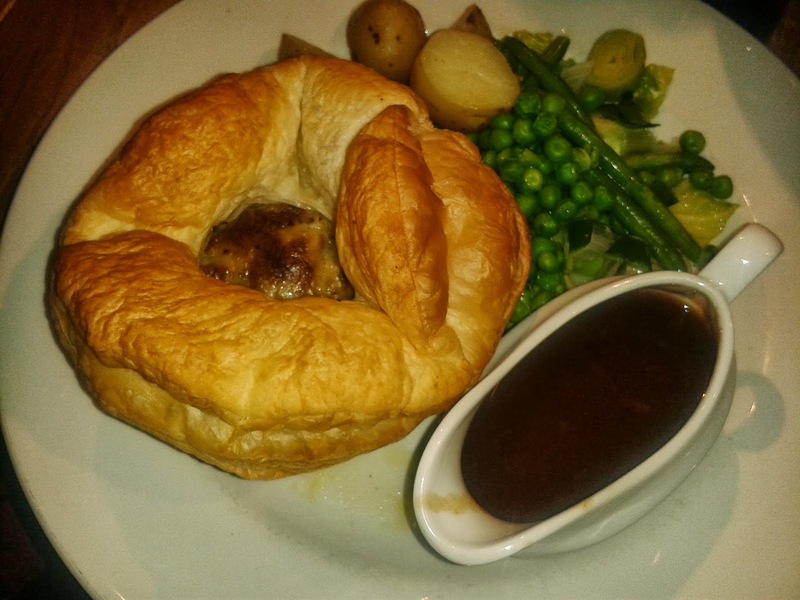 Pierate - Pie Reviews: Stick that Ember Inn your pie and smoke it! The concept of a chimney pie bewildered me as I glanced over what pie to eat on the Green Man pub menu in Harborne, part of the Embers Inn pub chain. 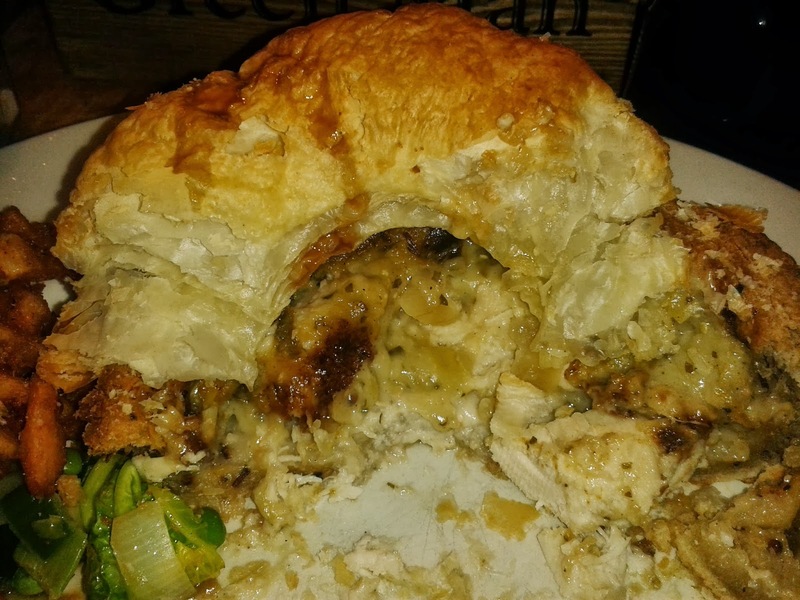 Various interpretations of a chimney were in my mind, but I have to admit the thought of a gaping big hole in the middle of my pie crust was not one of them. But unfortunately that is exactly what I was presented with. In a flashback to the 'open pie' sold to me at the Slug and Lettuce pub, it was an immediate downer. The lack of fully encased puff pastry pie lid was a real shame, as the lid that was present was very nice. Golden, light and crispy it was very good and far more enjoyable than the slightly thick and dry short crust pastry sides and base. 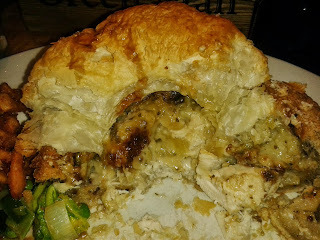 However it was good that the pie was surrounded by pastry, barring the gaping hole. The filling was generally very nice. The chicken pieces were tender and very nicely complemented the leek with a nice creamy sauce. The main downside was that the sauce filing was a bit thick and congealed on the top layer due to the open lid, meaning the filling was not as moist and tasty as it could have been. All in all, while it still tasted nice, I don't think the concept of a chimney pie really worked. There is a reason why pies are normally fully encased and while it can be good to experiment with food, they need to brush up on their chimney ideas and soot out a better variation of chimney if they want to stack up a winning pie.